PG Used Appliances provides you with a wide choice of ovens, stoves and ranges. Our prices are very competitive and whether you are in Prince Georges County, Washington DC, or Annapolis, MD, we can deliver to you. 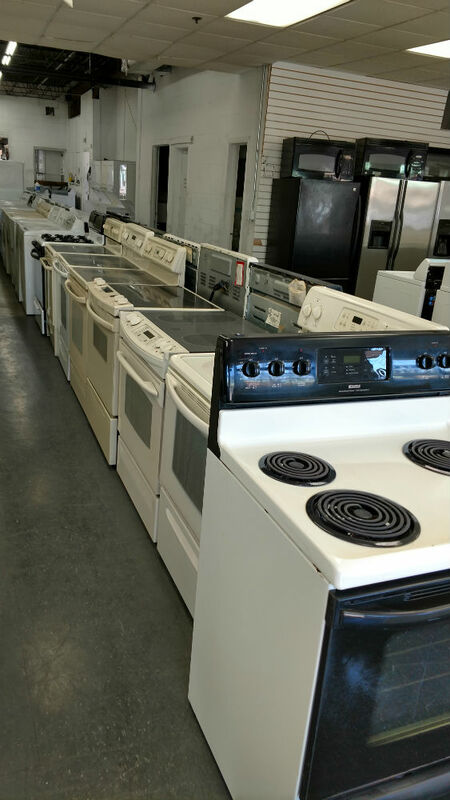 We think we have probably the best used appliances in the area. We would love for you to come visit us and see for yourself. 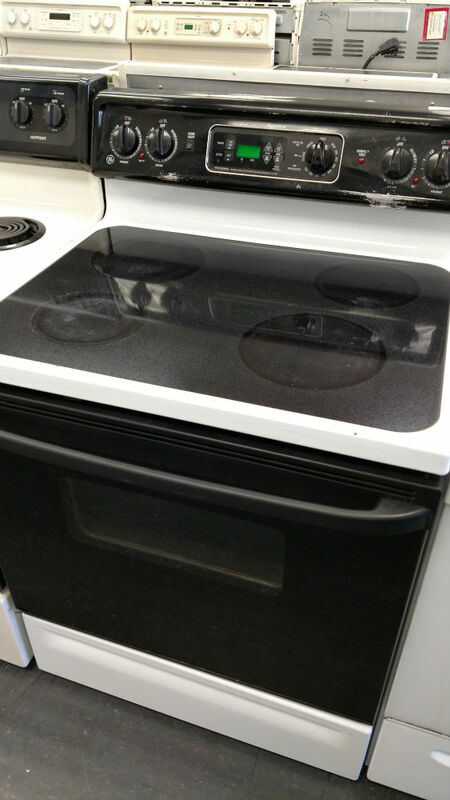 For details on oven and stove financing, click here. These are very popular electric ranges. They are easy to clean but can scratch so you need to be careful with them, particularly if you have cast iron. Of the three options these are usually the more expensive. 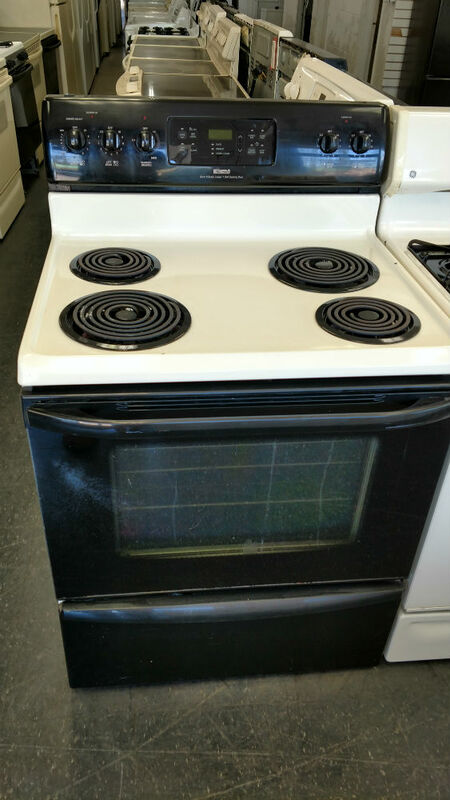 Some people hate gas while many people love gas ranges and feel they do the best job cooking and give more control. 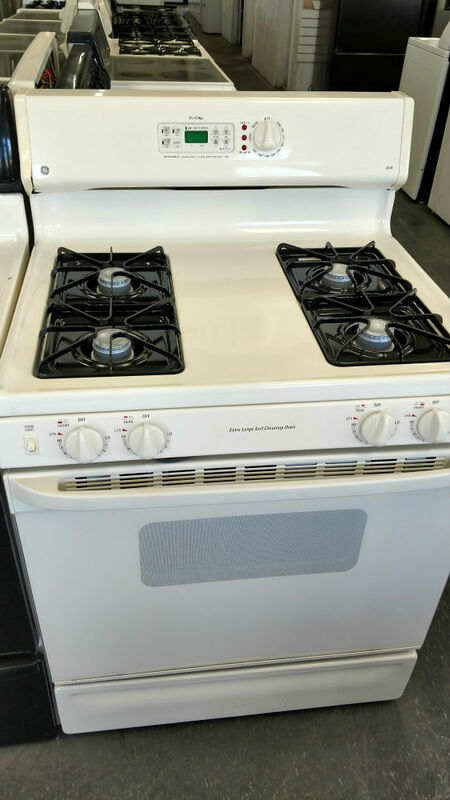 If you are a fan of gas ranges we have a broad selection. While electric stoves used to be less effective than gas, they have improved a lot over the years and can do just as good a job. The electric coil range does have the advantage of usually being less expensive. They don’t heat up as fast as gas which is instant on, but usually faster than the glass-ceramic cooktops. We are just outside the Beltway on Lanham Severn Rd. We are near Washington DC, Bowie, Annapolis, MD and of course PG County. For directions, go to our Contact/Location page. 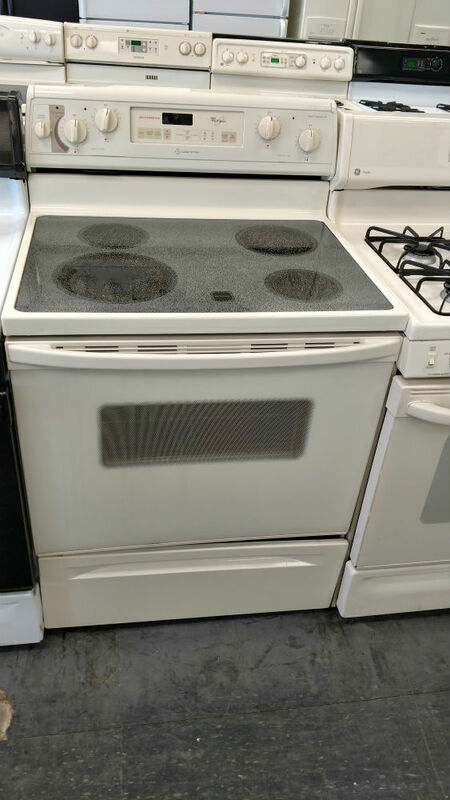 People use different names, oven, stove, range, cooktop, but whatever you call it, we warranty it for 30 days. If there are problems after that, we will repair it for free (not including parts) if you bring it back to the store. For more details on other products, go to the pages for Washers, Dryers, Refrigerators, Dishwashers and Microwaves. 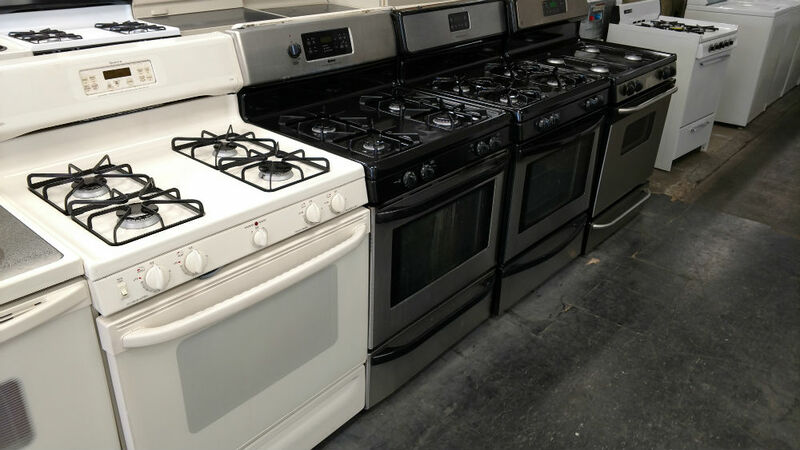 To get a beautiful new used appliance, enter the information in the form above or you can call the store at 301-231-1923.